Quick, catch the summer before it's gone again! After months of miserable weather, summer has finally arrived, and heading to the countryside to camp, hike and explore is starting to seem like a good idea again. A Samsung GALAXY S4 can be the perfect companion when exploring the great outdoors – here are our favourite features to get you going when you're out and about. The built-in Google Maps app that comes with your GALAXY S4 is great for when you have a decent mobile signal, but you can't always rely on having a 3G or 4G signal once you head off the beaten track. Sure, Google Maps also boasts offline mapping for when you are lost in the woods without a connection, but CoPilot GPS is another really good alternative that is geared towards exploring when you are off the grid. The app is free to download with a single country's map data and you can upgrade to add more countries and full voice navigation. 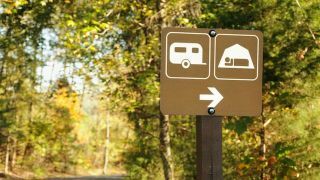 The Automobile Association has been recommending accommodation, campsites and caravan parks to its members for over one hundred years. That wealth of knowledge is now available in handy app form so you can quickly locate the nearest campsite or caravan park using your GALAXY S4. Over 850 sites have been reviewed and rated, and you'll also get brief descriptions of the site as well as details of available facilities. You can call or email each site office with just one tap and location details can be sent straight to either Google Maps or to another app such as CoPilot GPS (see above). Geocaching is a hobby that has grown in popularity in recent years with the easy availability of GPS devices. A cross between treasure hunting and orienteering, the idea is to try to find 'caches' (usually sealed containers with small gifts or messages in) hidden by other geocaching enthusiasts using GPS coordinates. By loading this app you can plan geocaching trips, look for nearby caches for a quick jaunt or use your GALAXY S4 to navigate to a specific cache. Plus, with the S4's speedy 1.9GHz Quad-Core processor, you are sure to be the first get those essential hints to help you find the exact hiding place and log your adventures. Logs aren't just for the campfire. If you love to head into the great outdoors, this app will turn your Samsung GALAXY S4 into a journal for recording your adventures. The app automatically logs the location (and altitude!) of your campsite and you can add descriptions of what you got up to as well as photos of your time there. The GALAXY S4 includes a magnetometer which can detect the Earth's magnetic field. This app turns your phone into a fully-fledged compass all ready for old-school navigation. As well as the compass dial for pointing out magnetic North, the Camp Compass also features a flashlight (using the S4's LED flash) and an SOS alarm that sounds a blaring whistle. Being cut off from civilization, even for a few hours, can carry some risks. With the British Red Cross First Aid app you will have a wealth of first aid knowledge at your fingertips, ready to tackle any medical emergency. As well as step-by-step instructions for dealing with most kinds of injury or sudden illness, the app includes video walkthroughs, which look superb on the GALAXY S4's 5-inch HD Super AMOLED screen, and even a quiz to test your first aid knowledge. If you are serious about the outdoor life, you might be worried that a smartphone like the GALAXY S4 will get damaged, despite its toughened Gorilla Glass 3 screen.